Being able to give out honest but constructive criticism is a key part of being an effective manager but can you receive it just as well? People management is all about motivating employees to realize their full potential and offering constructive feedback is a crucial part of this. It’s important that everyone on the team is aware of their own strengths but also their weaknesses so they can become the best professional possible. Beating around the bush or avoiding the elephant in the room doesn’t achieve anything, and can create an awkward environment. Likewise, sugarcoating your feedback can also have the opposite effect as you intend. 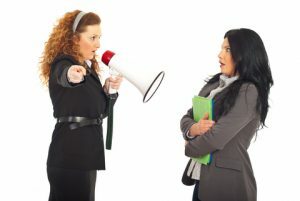 Giving people overly-positive critique or not actually addressing the issue in question can lead to confusion and employees being unsure about what their strengths or weaknesses are. This being said, developing a strong relationship with your team is also a key part of management. So how do you ensure you’re giving honest feedback without jeopardizing the connection with your team? The most important part of delivering honest feedback without damaging the relationship between you and an employee is to make sure you’ve considered what you’re going to say before you start speaking. Things can often come out wrong, which can make you flustered and then you find you’re trying to backtrack and saying things you don’t mean to try and rectify the situation. Instead, as part of your pre-meeting prep, write down the positive and negative critique you have to say and think about the most constructive way to say them. This doesn’t mean beating around the bush or trying to not say what you mean, but thinking of a way to get what you want across to an employee without being offensive or causing unnecessary embarrassment. You also want to make sure you avoid attacking anyone’s personal traits. For example, if someone’s behavior is making it difficult for others to collaborate with them, don’t focus on their attitude and why it’s causing problems but talk about what positive behaviors you’d like to see them doing more often. Emotions for the most part should be left completely out of the feedback process. Although it’s important to show emotion elsewhere as a manager, you should avoid giving feedback when you’re feeling emotionally fragile. This can be the result of a bad or stressful day at work or things going on in your personal life but shouldn’t influence the advice you’re giving employees. Receiving honest feedback can always be difficult and it’s important to remember not to take any of it personally. As a manager, the best way you can encourage your team to take honest and constructive feedback on board is to do it yourself. Ensure that there is a system in place for your employees to judge and rate you as a leader in both anonymous and public ways. This makes sure that every member of the team feels treated equally and that no one is being singled out. It’s also a good way to set the boundaries. For example, you may have a rule such as ‘be honest but not judgmental’. This ensures that people feel free to share their honest opinion about you without feeling as though you’re being personally attacked. Adopting this can also encourage other members of the team to understand why they are being critiqued and that none of it is personal. In all of the above situations, you will need an understanding of each of your employees DISC behavioural profiles in order to be able to make the desired connection with them and ensure the best possible outcomes for you and your individual team members.